I suspect that a good friend of mine (who shall remain anonymous for now) is jumping for joy right now because he lives in Pennsylvania and the Pennsylvania legislature is considering passage of a law that would allow municipal police agencies to use radar guns and the allow the state-wide use of red light cameras. Why would he so happy, well let me explain. 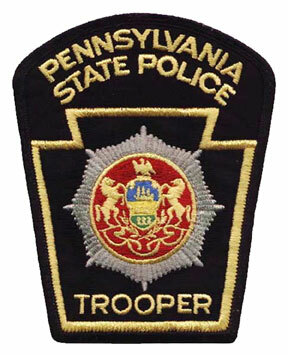 Under current Pennsylvania law only the State Police are authorized to use radar, which now puts the local agencies into the position of using other speed enforcement devices such as Vascar to pump up their tax revenues. The problem with Vascar is that it undetectable to all speed counter measurement devices (as my friend can attest). And I suspect that once the local police agencies are approved to use radar, that they will mothball all their Vascar units and buy new police radar guns, which my friend can detect. Another plus for my friend who is also involved in the speed counter measurement industry, he will not have to travel all the way to New Jersey to test out some new radar detector to write a review on as all he will have to do is drive around his local neighborhood which will save him a ton of time and money for gas. And what about those new red light cameras that maybe coming his way? I suspect that he will be happy about that too, as he has reviewed countless GPS radar detectors such as the Bel STi-R Plus (his latest review that he classified as being the best radar detector ever made) and again, he will not have to travel all the way to NJ to do his next review. However, one item that the Pennsylvania legislator is considering passage of that I’m positive that he will be unhappy about, is a law that will ban cell phone usage while driving, as he conducts most of his daily business while driving and yacking talking. @ Veil Guy you’re a true radar detector junkie, will travel miles to just get your fix. Drive safe and smart my friend…. Boy it’s hard to believe that there are still communities, let alone whole states that don’t utilize radar, amazing but anyhow great news indeed for the detector community!